Peter Tindemans is the Secretary General of EuroScience and also a member of the New Einstein Forum’s Scientific Programme Committee. A PhD in Theoretical Physics (Leiden University), he is well-known for contributing to science, technology and innovation (STI) policy in the Netherlands, Europe and globally. 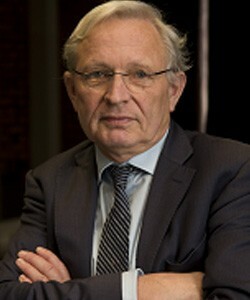 Until 1999 he directed research and science policy in the Netherlands, he chaired the OECD Megascience Forum (now Global Science Forum), and the COSINE Policy Group to establish the first pan-European data networking backbone. He works with the World Bank and UNESCO in Africa, Latin-America, the Middle-East and Asia. A founding member of EuroScience, he sat on its Governing Board and chaired the ESOF Governance Committee.